Are you looking to start a Playback group or company? Want to strengthen an existing Playback group—-beginner, intermediate or experienced? 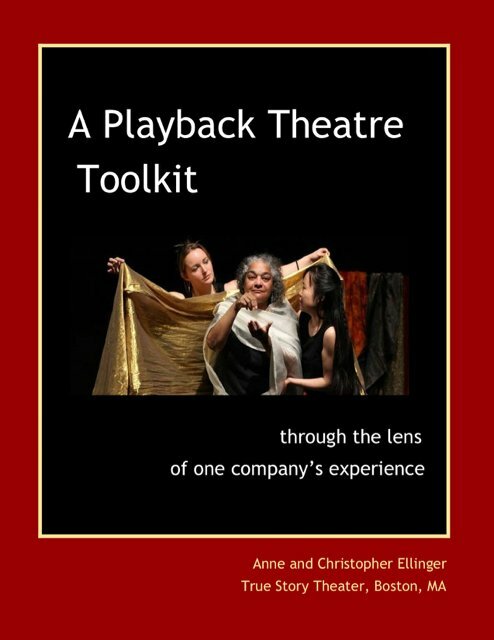 Need to address challenges related to artistic, business, and company development? This guide can help. It is offered as a benefit of PNA membership. The complete company edition includes all the sections below. The artistic edition includes Parts 1 and 4. The Toolkit was intended as a reference guide to accompany in-person training. See the upcoming Centre for Playback Theatre’s trainings, articles about Playback, as well as the list of affiliated Playback schools. Also feel free to contact us for referrals to practitioners in your region. Every Playback group is unique, with it’s own personality, artistic vision, and environment. There is no one “right way” to do Playback or to run a group, so please read everything in the toolkit with that understanding. We hope you will add your own expertise via PNA’s Facebook page or contact us with ideas for future editions to the Toolkit.